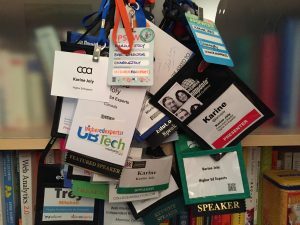 Want to present in 2019? The time is now! Even if students have barely made it back to campus after the holidays break, I’m sure you are already caught in countless meetings, urgent projects, crises (hopefully the minor kind) and the craziness of snowy days that don’t quite graduate to full-blown snow days. In the whirlwind of the first days of the year, it’s so easy to let great speaking opportunities come and go. But, it doesn’t mean you should! Truth is you’ll never have a shot at presenting this year if you don’t submit a proposal before the deadline! Yes, I know, I’m playing Captain Obvious. Be early, be lucky? Maybe. But, did you know that submitting your idea as soon as possible might increase your chances to see your conference submission accepted? 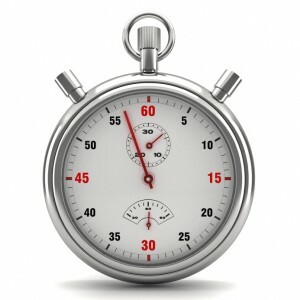 Indeed – for a simple reason: 70 to 80% of the proposals tend to be submitted in the last couple of days before the deadline, the bulk in the last hours. Since conference proposals are usually reviewed in the order they are submitted, your cool idea will end up in the pack if you wait until the last minute. Well, conference reviewers and track chairs aren’t superhumans. So, depending on the total volume they have to read, reviewing fatigue is more likely to kick in when you get closer to the bottom of the pile. It doesn’t mean that a stellar proposal won’t be selected. It just means that a good proposal will get less chance to be picked if it’s on row 100 – and not 25 – of the reviewing spreadsheet. Even if reviewers take plenty of breaks to avoid reviewing fatigue, the mere act of reviewing several proposals before laying eyes on yours will have its impact. All the ideas submitted before yours will train reviewers to search for something else, different, better, you name it. But, it will be easier to make a first good impression… to a pair of freshER eyes — the reviewers’. Batch your conference proposal submissions for these 6 2 open calls for proposals! Embrace the beauty and zen of being early while saving time as you can literally batch conference proposal submissions right now with no fewer than 6 2 open calls for proposals. I’m listing the conferences below by CFP deadlines. as you can see, there is actually no better time to schedule your proposal development session. And, if you follow my 60-minute process, you can get it all done in an hour! 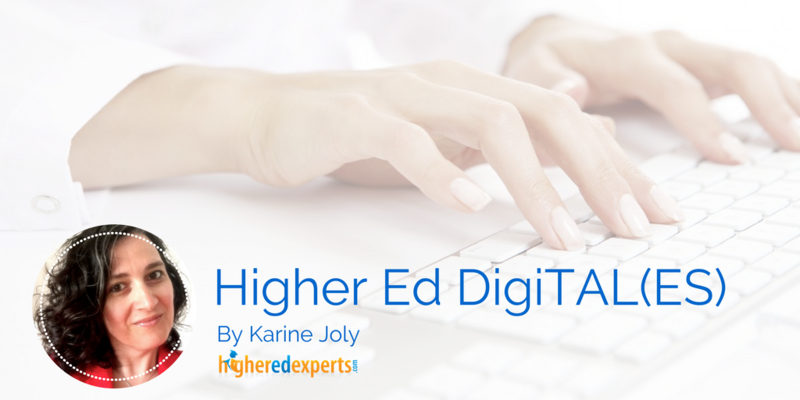 Ready to take a step to advance your higher ed career? If you’re a seasoned pro, you probably don’t need my help to get your conference proposal ready. But, if you struggle with many things on your to-do list now, here’s how you can find a good topic and get your proposal ready in 1 hour of focused work (no interruption). Take 15-minutes (set up a timer, ask Siri) to list the projects you’ve worked on, the best practices you’ve implemented, the tools you’ve incorporated in your workflow or/and the lessons you’ve learned over the past 6 to 8 months. Now, read the list you’ve just made and look for 2 points that you would implement/use again if you started a new job at another school. This little exercise will help you find quickly the most interesting topics for your colleagues. Take 10 minutes to come up with your short list. For each of the topics on your short list, spend no more than 5 minutes to write a short paragraph addressing why this is important, timely or useful and what your colleagues will learn by attending your session. When you’re done, take a 3-minute break. Read your 2 paragraphs and add a descriptive title for each. 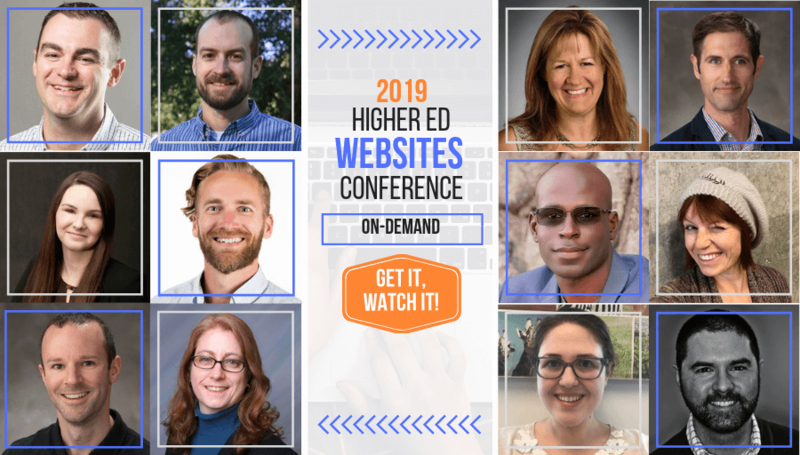 If you submit a proposal for the 2019 Higher Ed WEBSITES Conference (Didn’t think you should? It’s a great way to get exposure with a keynote-size online audience! ), don’t worry too much about the wording at this stage. I always do a rewrite of session titles and descriptions for the final program. I want to make sure it doesn’t read as it was written by 12 different people :-). So, don’t spend more than 10 minutes on this. Take the remaining 10 minutes to submit THE proposal that aligns the most with your professional brand. What do you want to be recognized for in our industry? If you can’t choose between 2 topics, submit both. You will also be asked to provide a short bio as well as a photo (think LinkedIn profile photos). Congratulations, 60 minutes of focused work and you’re done!